Date: Saturday 28th November 1981. Scorers: Leeds United: Graham, Hird (pen), Cherry. 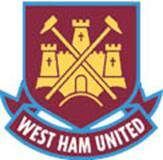 West Ham United: Brooking (2), Hart (o.g.). 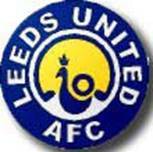 Leeds United: Lukic; Cherry, F. Gray; Stevenson, Hart, Burns; Harris, Graham, Butterworth, Hamson, Hird. 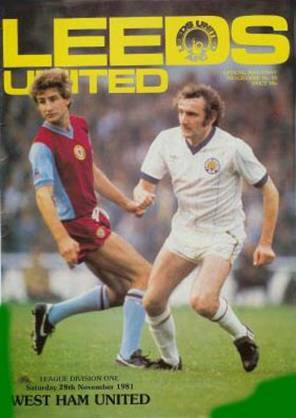 West Ham United: Parkes; Stewart, Lampard; Bonds, Martin, Devonshire; Neighbour, Goddard, Cross, Brooking, Pike. Referee: P. J. Richardson (Lincoln). Alf Garnett’s beloved team, West Ham United, had always been known for footballing skills. Entertainment had been the name of their game over the years, and when they played United at Elland Road in November 1981 the goals flowed from both teams. 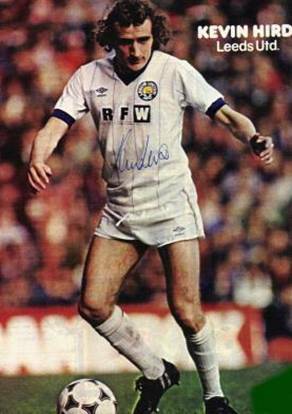 United were managed at that time by Allan Clarke, who as a player thrilled thousands with his attacking skills, which made him one of the country’s leading goal-scorers. 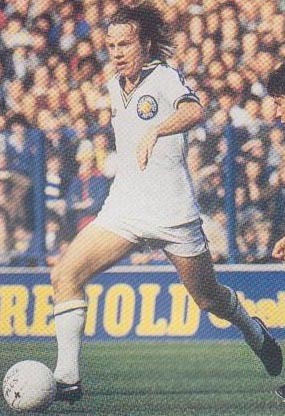 Clarke’s side however, had made a poor start to the 1981-82 First Division campaign and they had won only four and lost eight of their first fifteen games when West Ham United arrived at Elland Road. They were up against a West Ham side that had run away with the Second Division, the previous season, and had followed that up by having made a big impact in the First Division. 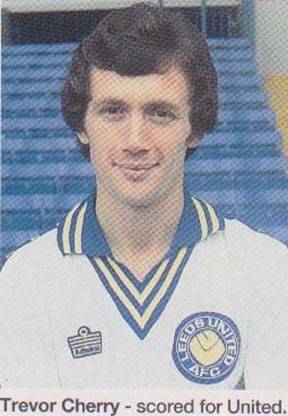 Clarke sprang a surprise by relegating Peter Barnes to the substitute’s bench but transfer-listed defenders, Trevor Cherry and Paul Hart, were in a Leeds side that took the game to the Hammers. They deservedly took a thirteenth minute lead through Scottish international Arthur Graham. Kevin Hird, who was justifying manager Clarke’s decision to include him ahead of Peter Barnes, got away on the right and crossed for Arthur Graham, at the far post, to fire in a low shot for his sixth goal of the season. 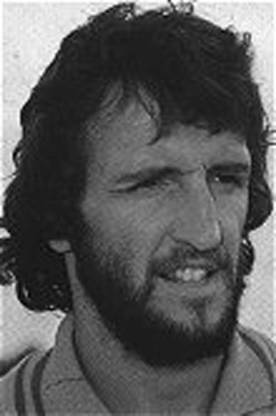 The immaculate Trevor Brooking drilled in a fifty-fifth minute equalizer for the Hammers but Kevin Hird scored with a penalty on the hour, after Arthur Graham had been fouled, to restore United’s lead. 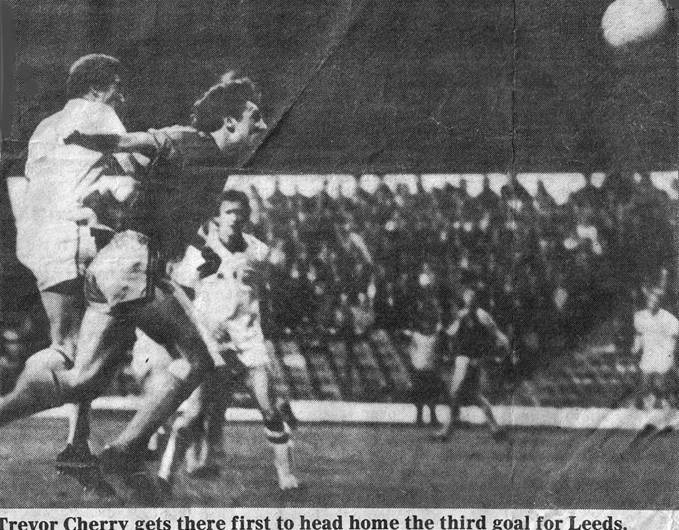 When Trevor Cherry headed in an Arthur Graham cross from six yards nine minutes later, Leeds seemed on course for a comfortable victory. 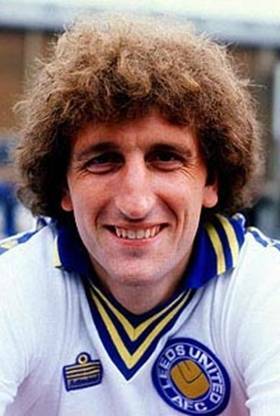 But thirteen minutes from the end Hart, under strong pressure as he and David Cross chased the ball towards the Leeds goal, turned the ball past John Lukic and into his own net. 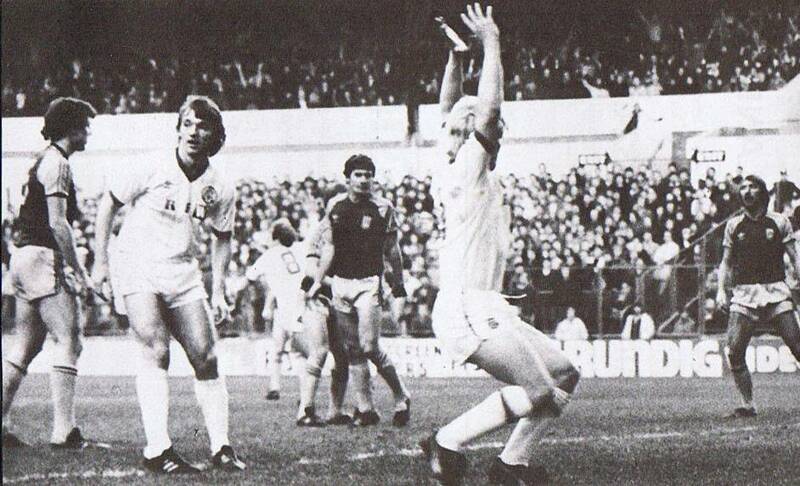 Four minutes from the end the Hammers were celebrating a point when Trevor Brooking forced the ball in to make the final score 3-3. Arthur Graham (8) turns away in triumph after scoring United’s first goal. Aidan Butterworth and Carl Harris show mixed emotions.